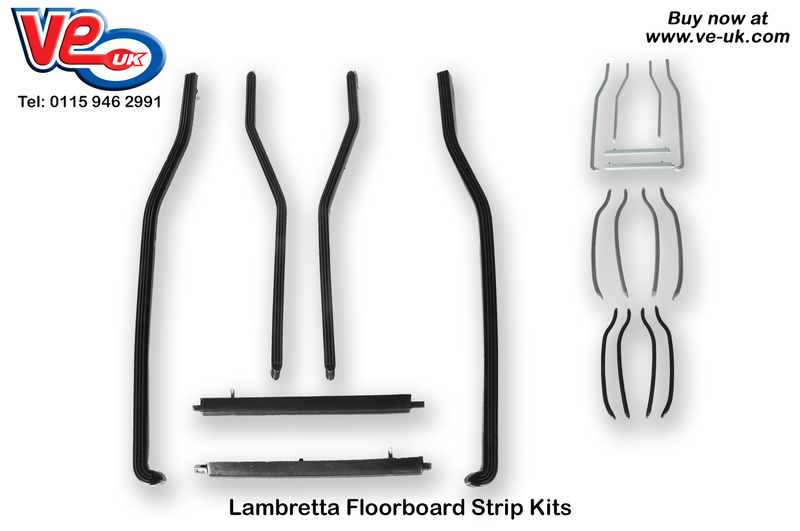 VE stock a great range of bodywork parts for Lambretta scooters including these high quality footboard strip kits for the Lambretta GP, LI, SX, TV, and Series 1/2 models. The kits are manufactured from a high quality plastic, and the finish on the products is exceptional when compared to others currently available on the market. Supplied as a complete set of four or six pieces depending on the fitment and include mounting hardware as required.